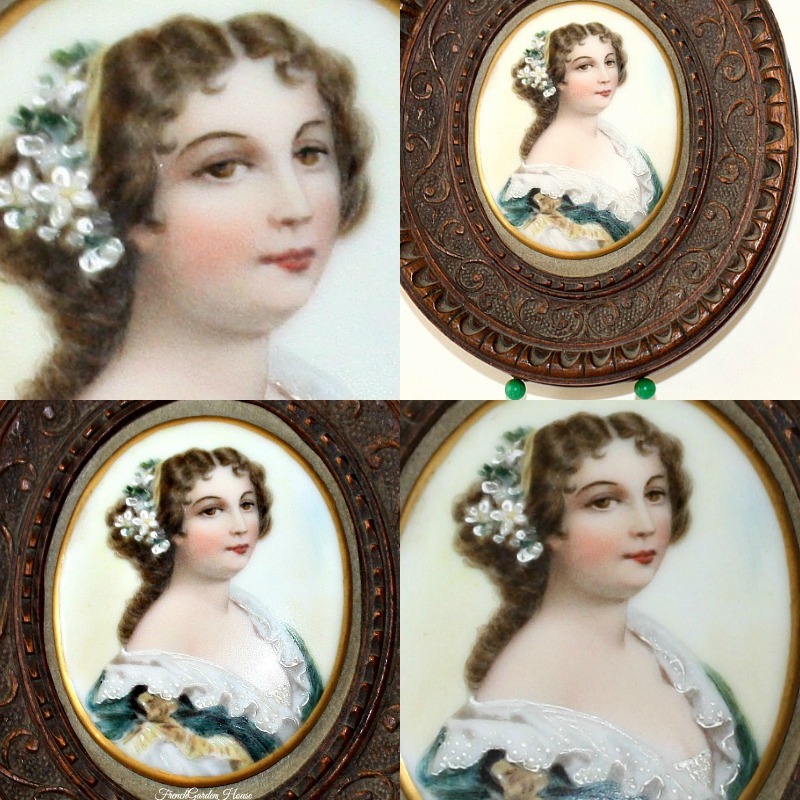 Exquisite Hand Painted Miniature Portrait on Porcelain inside the original decorative carved wood frame. 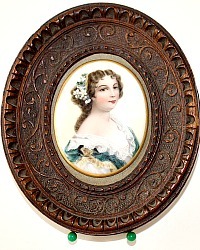 Such a collectible beauty, this portrait is exceptionally well painted by an accomplished artist. This is a beautiful young lady, with brown curling hair, expressive brown eyes and feminine red lips. She is wearing a white flower hair piece and the frothy lace of her elegant gown is luminous, delicate and romantic. Her gown is blue with yellow French ribbon details. 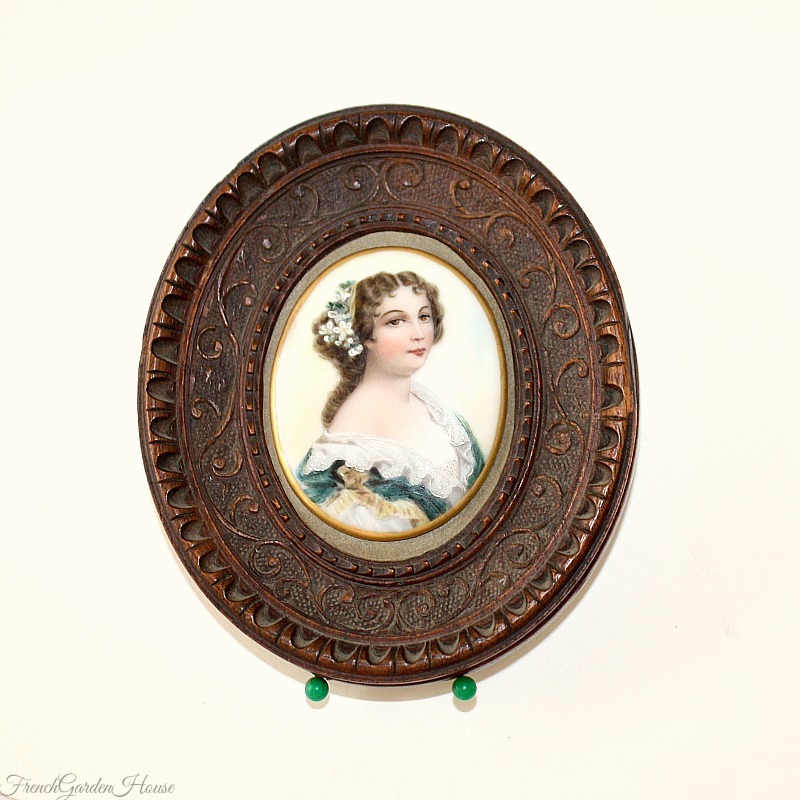 The hand carved wood frame is in very good condition, it has scroll work and dart & egg details around the rim. 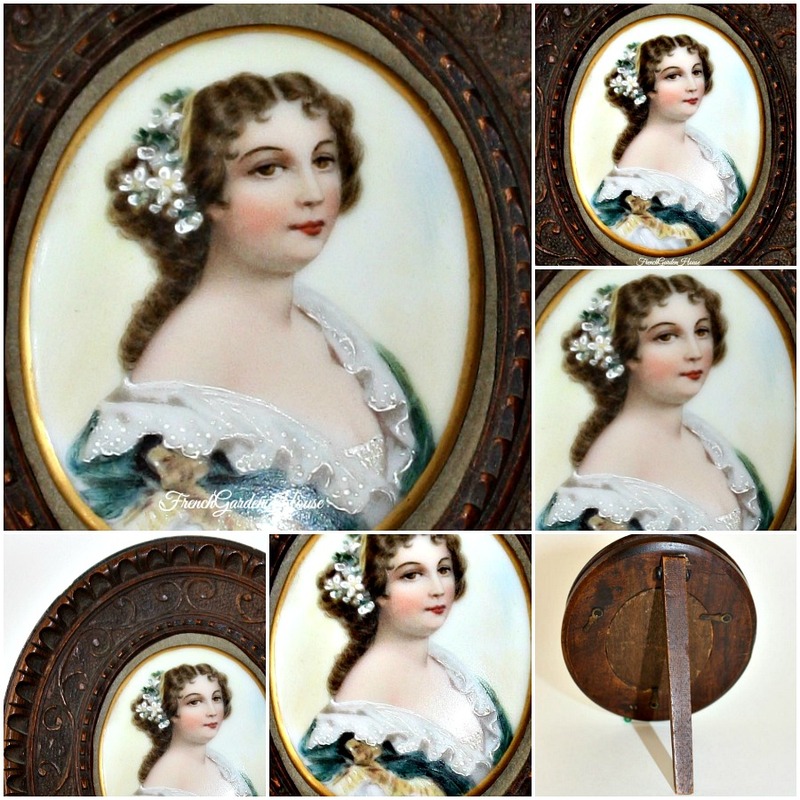 A treasure for your collection, heirloom quality. Measures 4-5/8" x 4" x 5/8", Porcelain wafer: 2-3/8" x 1-7/8".